This is the second in a three-part series. Last week we started with authority looking at the biblical side of this word. As we did last week let’s first look at the secular side of the word. Part of being held accountable is to accept responsibility and next week we will look at that. 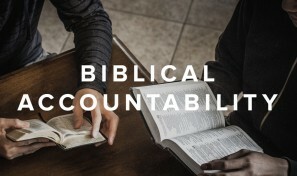 I have always felt that one of the attributes of the Christian that is a problem for many people is that we are not fond of being held accountable. Romans 14: 12 is a fair summary of the teaching put forth in this scripture. This can get a bit confusing but we will try to put some weight behind our reasoning. From a Christian perspective we acknowledge that authority begins with God. Romans 4: 12 above clearly states that there is a moral ruler of the world whose desires for us were revealed to all through the law but in Romans 4:15 those of us who believe that God gave us free will, we are given this little nugget to ponder. 15 because the law brings wrath. And where there is no law there is no transgression. There were those to whom the law of Moses was not given yet they are not excused from accountability because it is shown that even heathen had the law to some extent revealed in conscience; so that they are “without excuse” (Romans 1:20). Then we point to the book of Luke and his recording of Jesus Christ’s words on this subject. Simply put we will all be held accountable. There is always the truth that as we grow it is reasonable to believe we mature and our knowledge grows and it is only reasonable that so does our accountability for our actions in this life. WE seem to put too great a premium on ignorance, using it as an excuse for our behavior. Sometimes we excuse bad behavior because of mitigating circumstances. In our secular dealings concerning accountability this often can determine the severity of judgement. Consider this if you will. Christians know that there is a higher authority that calls us to account for our actions. Suppose you say “I was drunk and did not know what I was doing.” It is best we understand God’s accountability and will and in this higher court you will be guilty twice….for being drunk and then for your actions. Why do some find this concept of accountability before God as being so strange, even among the non-believers there is a sense of judgement for personal actions. Everywhere in the world today there is some kind of law or form of acceptable behavior. When broken there is accountability and judgement. Jesus spoke often of the life to come and of being held accountable in the form of a divine judgement that all people would face. It is not unreasonable to believe that this includes all people, did not God create all things? I could go on and on with this but the end result is the same for God’s people. 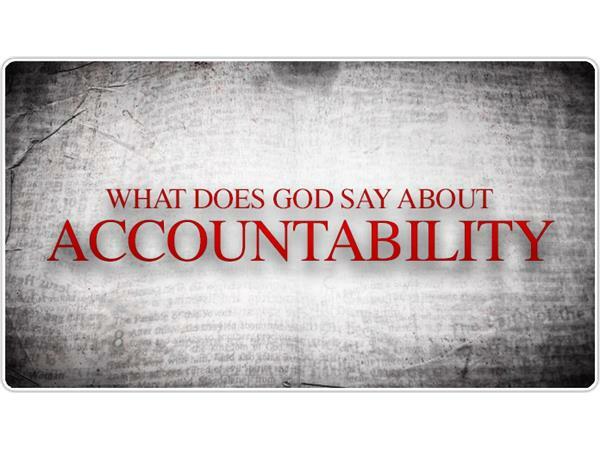 For Christians Authority is a God thing and so is Accountability. While we are not exempt from secular law, we are made strong through the promise of God’s Law. Next week the last in this series, we will look at Responsibility in a Biblical sense.